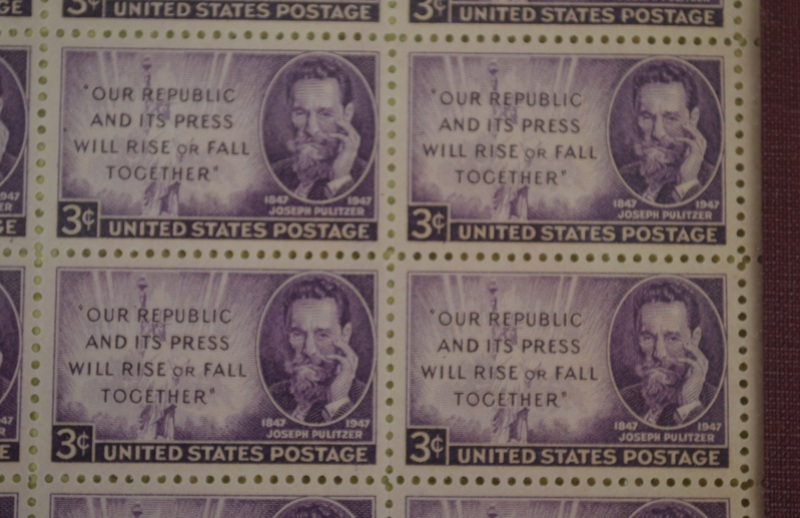 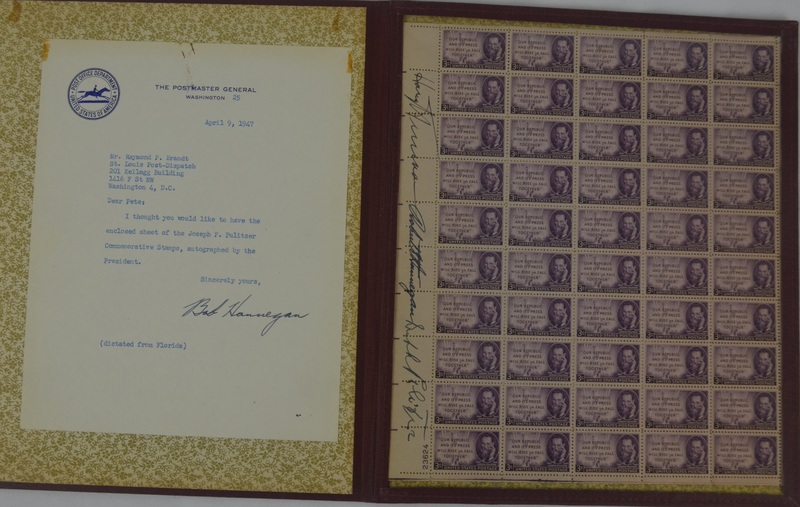 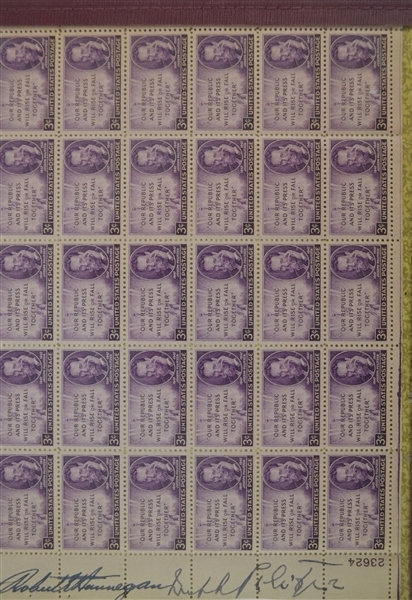 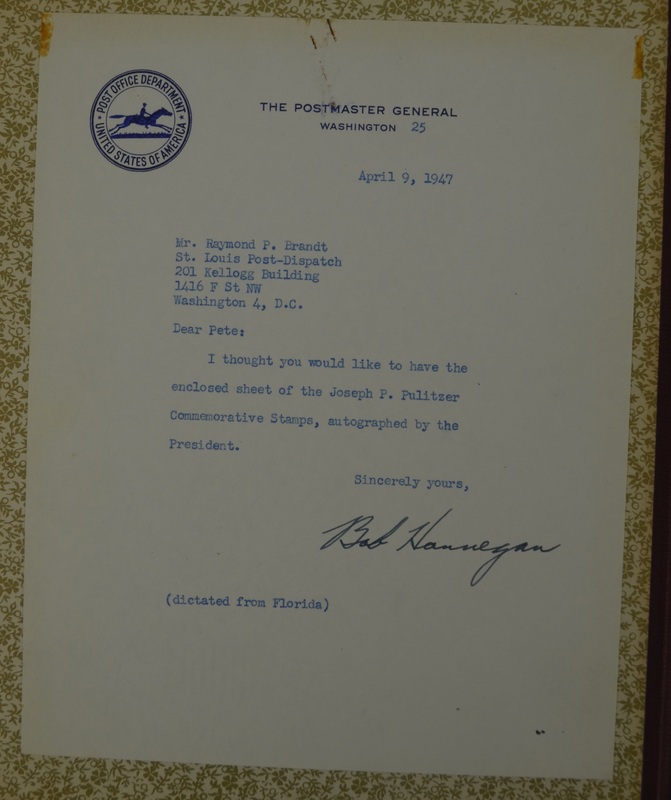 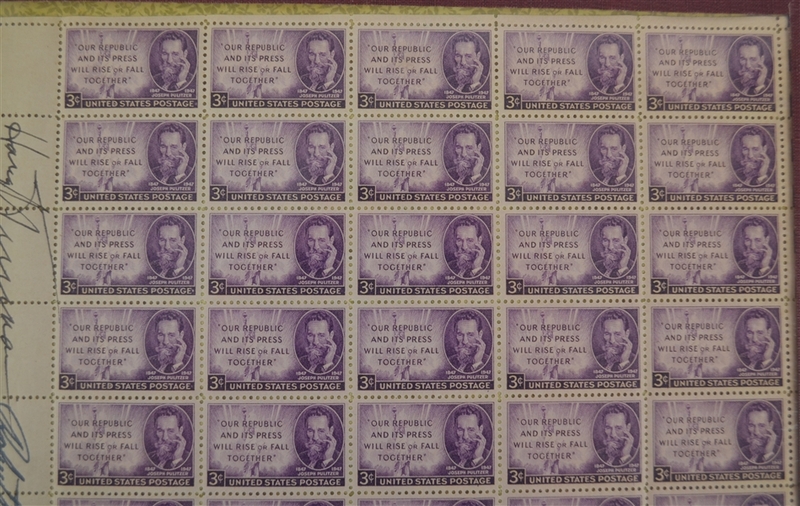 Stunning collection in this 1947 Joseph Pulitzer stamp sheet accompanied by a letter dated April 9th, 1947 and signed by the Postmaster General Robert E. Hannegan. 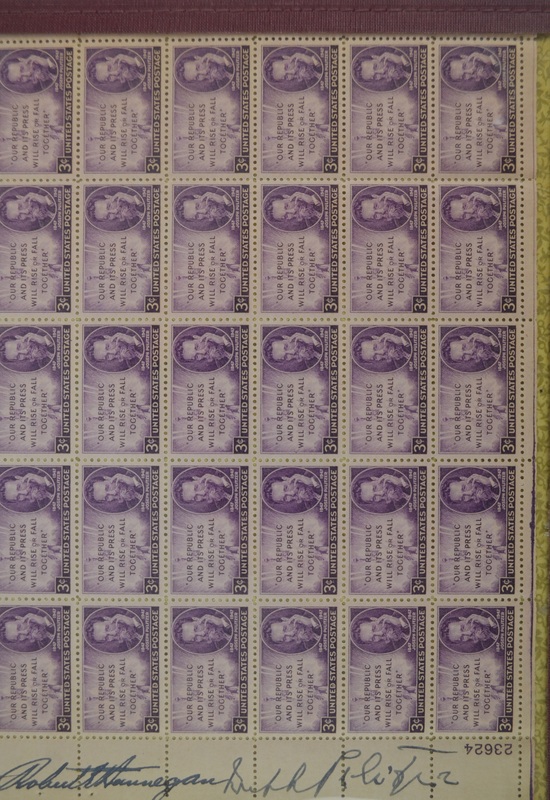 The stamp sheet itself has been beautifully signed by the sitting United States President at the time, Harry Truman, as well as Hannegan and a member of the Pulitzer family. Truly unique and difficult collectible due to the high demand for Harry Truman signatures and the difficult Robert Hannegan signature as he passed away just 2 years later at the age of 46. 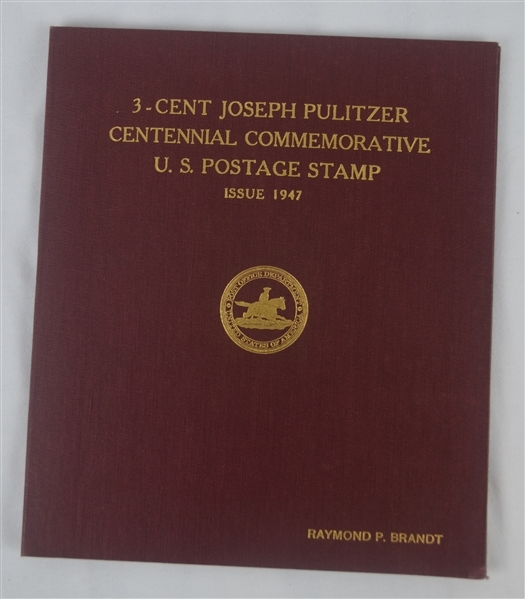 This incredible piece of American history is protected in an attractive red leather bound portfolio.